Almost six months after the Punjab and Haryana High Court sentenced an advocate to one-month imprisonment for his contemptuous conduct in criticising a judge on Facebook, the Supreme Court has held that it was not a case where contempt action should have been taken in the first place. “We have gone through the matter in detail and are of the view that it was not a case where the contempt action should have been taken against the appellant who is an Advocate. 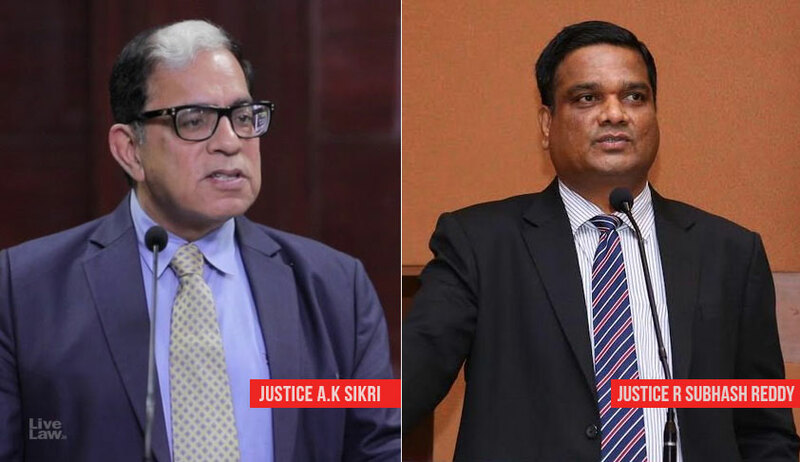 We thus allow this appeal and set aside the impugned order passed by the High Court,” said a bench of Justice AK Sikri and Justice R Subhash Reddy. The bench said so while deciding the appeal moved by advocate Maneesh Vashistha, an advocate from Narnaul, Haryana, and former president of the Narnaul Bar Association. Vashistha was sentenced to one-month imprisonment by the high court on May 31 in a suo motu contempt case wherein he was held guilty of contempt of court for his Facebook post from September 2017, wherein he had said that the order passed by a high court judge in his case was not correct and that the judge had not uploaded the order even a week after pronouncement as he must have not understood what had to be written therein. Vashistha went on to post that a magistrate would have written a better judgment. The high court had in its May 31 judgment noted that Vashistha had also written confidential letters to District and Sessions Judge who thereafter, recused from the revision petition involving him but did not send a contempt reference to maintain harmonious relationship between the Bar and the Bench. The high court, had, however, suspended his sentence till July 2 to allow him to move in appeal. Vashistha moved the Supreme Court in July, 2018, and his high court order against him was stayed on August 28. It is to be noted that when the appeal had come up for hearing before the Supreme on October 10, nobody appeared on behalf of the respondent, i.e., the High Court of Punjab and Haryana, in spite of service of notice. The apex court had then issued another notice on October 12 via speed post. The high court then informed the Supreme Court that it has decided not to engage any counsel in the matter. Appearing for Vashistha, senior advocate Vikas Singh argued before the Supreme Court that the high court failed to verify the contents of Facebook before passing the order. Vashistha had in his appeal even said that the high court had lowered the dignity of all subordinate courts in Haryana when, while referring to a prayer for transfer of a case involving him, it noted in its May 31 judgment that all judicial officers of Haryana were afraid of his conduct and that they have been terrified that if any of them is not toeing his line of action, he would make complaints against them, would publish something in Facebook, newspapers etc.